Take the motorway A95, exit Murnau, and then in the direction of Oberammergau or go to the end of the motorway at Eschenlohe and then via Oberau to Oberammergau. Go in the direction of Garmisch-Partenkirchen, then take A95 in the direction of Munich until Oberau and from there to Oberammergau. Travel by train via Augsburg resp. Munich to Murnau. There, take the regional train in the direction of Oberammergau. You can also ride on directly to Oberau without changing trains and from there take the RVO-bus to Oberammergau. 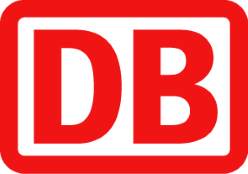 To get to the train schedule enquiry of Deutsche Bahn, click here. Take Flixbus from Munich to Oberammergau. To get to the bus schedules, click here. Take the car or train, see instructions adjacent. Then take a car via the motorway A96 to Landsberg am Lech, B17 direction Füssen/Garmisch-Part./Schongau, B23 directly to Oberammergau. Current timetables and bus lines can be found here.